Awesome home in the highly desired Windsor Place subdivision! This 4 bedroom, 3 bath home, plus an office, is located on a cul-de-sac in a great neighborhood. Home has a screened in pool with a covered porch... perfect for fun in the sun and entertaining! Fenced in yard with a custom built swing set. Front yard was recently replaced with the high end Zoysia grass which is beautiful and basically care free for the homeowner! The study/den is in the front of the home and looks out on the front lawn. This floor plan is a 3 way split plan offering privacy and room for guests. The master is in the back and overlooks the pool. Speaking of the master bedroom...the master bath has been fully updated and was remodeled in 2014. Separate shower and a new high end old fashion cast iron enameled tub with the claw feet. Also dual sinks. Entire home, except wet areas, was replaced with cork flooring in 2014. Roof is the architectural shingles, replaced in 2008 and entire AC was replaced...inside and out in 2006. Refrigerator, stove, disposal, and dishwasher have all been replaced. Home has a termite bond/warranty with Massey Services which is transferable to the new owners. Location...Excellent schools in the area, including the new Belle Isle Charter School that is K-12 and just down the road. 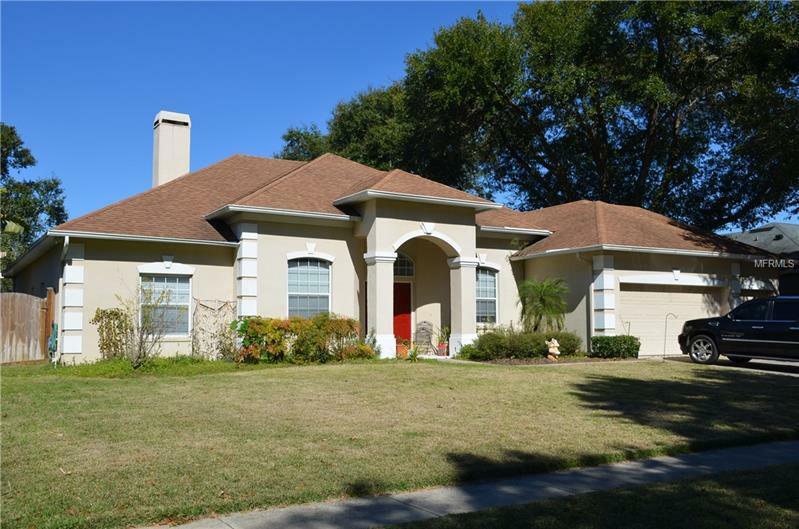 The neighborhood has access to the Lake Conway Chain, through the City of Belle Isle, considered one of the cleanest chain of lakes in Central Florida. Great home, excellent neighborhood. Worth a look! Home is being Sold As Is.